Discover more ways to use Captain Grumpy below, as well as this article on creating a Captain Grumpy-themed workshop for children. I am the Chaplain at Haileybury College, Berwick. I work with children between Prep and Year 9. My role includes teaching religious education, leading chapels and providing pastoral care in small group situations and to individuals. I have enjoyed using The Wrong Stone and Captain Grumpy in my role as chaplain. Captain Grumpy is a fantastic story. The illustrations really bring the book alive. 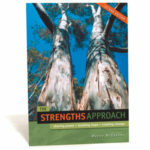 I have used this book a number of times looking at the theme of friendship. I used the book during a session with Grade Twos. I read the book and then got the students, in groups of four, to discuss how they are a good friend, how they could be a better friend and three things friends like about them. They then divided into pairs and had to do a role play about how you could help turn someone from being grumpy into being happy again. The students came up with a variety of ideas including being a clown, asking them to join in with a group and asking them what they would like to play. The students responded well to the story and shared lots of ideas about ways they can help people to be happy. I look forward to continuing to use this book in a variety of situations. The power of a story, at any age, can never be underestimated! 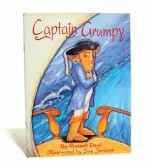 Captain Grumpy’s story is a cautionary tale of tragedy and redemption. Steered into piracy by parents who wanted him to find treasure, Captain Grumpy discovered that he was good at being a pirate because he was so grumpy. Many people believe a grumpy pirate is a good pirate. But eventually it was grumpiness that took control and became the boss of Captain Grumpy’s life. His crew mutinied and all appeared lost until Captain Grumpy discovered his first love: art. 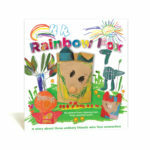 This 32-page picturebook contains many possible messages, making it a therapeutic tool that children and adults will enjoy. Firstly it can work as an anger management tool. We all get pushed around at times by grumpiness or anger. How do you keep grumpiness in its place? How do you take control of grumpiness when it starts to push you around? Has grumpiness ever pushed you around? Is there a difference between good grumpiness and bad grumpiness? The book also talks about how we deal with the expectations of our parents. What did (or do) your parents expect you to do for a career? Is this your own preference? Do you imagine they have been or will be disappointed with your choice? Sometimes our inability to fulfil our parents’ expectations can haunt us into adulthood. Finally, Captain Grumpy discovers that he is an artist after all. He recognises it is his art that is his real treasure and he learns that treasure is meant to be shared. What is your idea of real treasure? What things in life are of most value to you? How does it feel when other people, close friends or family don’t share your idea about treasure? Captain Grumpy is a picture book full of fun and meaning that can be used as a prompt for a range of creative activities. Create lists of what makes you grumpy and what makes you happy. Draw a dialogue between you and ‘grumpiness’. Paint what you imagine the sail on Captain Grumpy’s ship would look like. What would the sail on your ship look like?